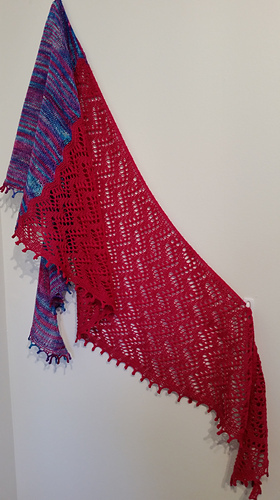 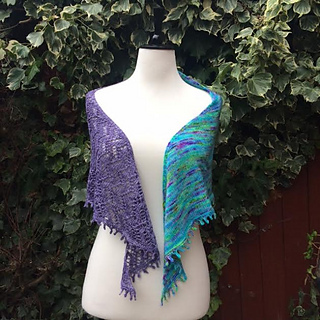 Worked from a garter tab cast on, this shawl is a tale of two halves! 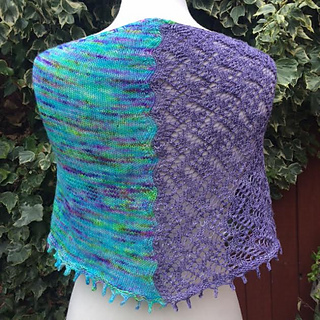 One side is simple stockinette and is designed to work perfectly with a lovely variegated yarn, and the other side keeps things interesting with an easy repeat lace pattern in a contrasting solid or semi solid shade. 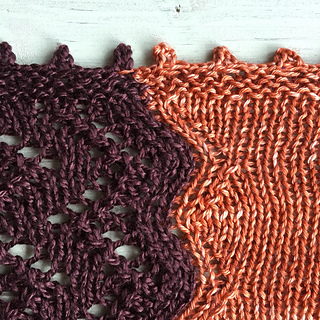 You will need 70g each of two contrasting yarns. 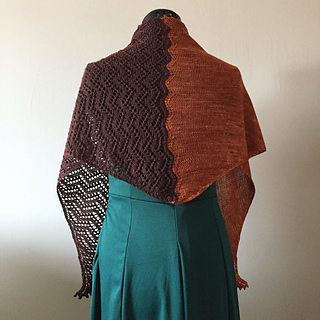 The pattern is written and charted and has been professionally tech edited and test knit. 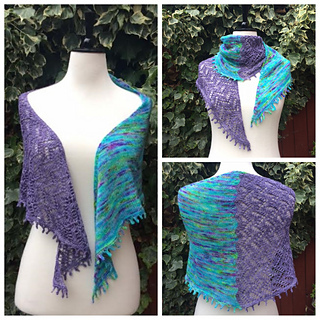 The stockinette half of the shawl is written in purple throughout the pattern to help keep track of colour changes. 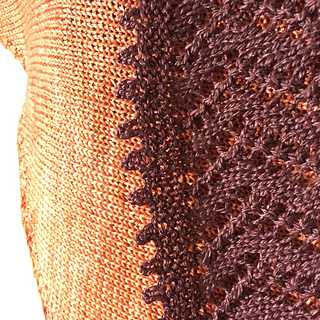 • Yarn A – Solid section – 2.5 oz / 70g, 280 yd / 256m variegated sock weight yarn. 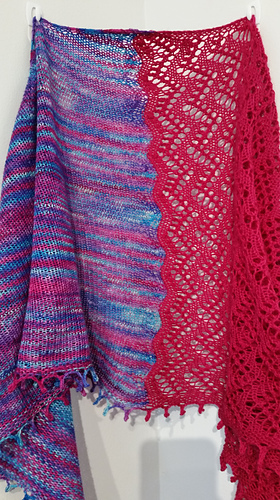 The yarn used in the pattern pictures is Hedgehog Fibres hand dyed skinny single (100% merino) in the Reverie colourway.